Moscow (AFP) – Oil exploration and increased sea traffic in the Arctic are encroaching on polar bear habitat, adding to the existing climate change risk, representatives of Arctic nations said at a Moscow conference Wednesday. “Today we face new challenges with the ship traffic increase and the oil and gas development,” Canada’s Environment Minister Leona Aglukkaq said at the international forum on polar bear conservation organised by the World Wildlife Fund. The United States, Canada, Russia, Greenland and Norway host a global population of 20,000 to 25,000 polar bears. But increased economic activity in the environmentally sensitive region and global greenhouse gas emissions are speeding up the melting of ice, threatening the species, the forum heard. 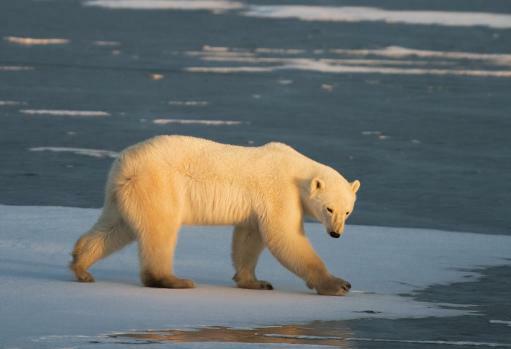 Polar bears depend on ice cover to hunt seals, their major source of food. Habitat change like loss of ice and permafrost also affects maternity denning by female bears — when the future mother bears dig shallow dens in the snow and go into light hibernation after feeding heavily. “We are really concerned about the Northern Passage development and exploration of hydrocarbons,” said Sergei Kavry, a member of the Association of Indigenous People of the North, Siberia and the Far East, an umbrella group of Russia’s indigenous ethnic groups. Russia has increasingly turned its attention to the region in recent years, with President Vladimir Putin recently calling it an area that marks an “era of industrial breakthrough”, and publicly berating a Russian professor who floated the idea that the Arctic should be placed under international jurisdiction. “We must develop (the Arctic),” Putin said Tuesday, addressing students in Moscow. State gas giant Gazprom has already launched exploration for oil on the Arctic shelf — to the dismay of environmental activists who say energy producers cannot contain or adequately clean up spills in the extreme climate. “We should not be allowing the development of oil and gas exploration in the Arctic,” said WWF general director Jim Leape. In September Greenpeace staged a protest on a Gazprom platform in the northern Barents Sea, with two activists attempting to scale it and set up camp there. The stunt led to the entire crew being arrested and charged with piracy. Although Russia later scaled down the charges to hooliganism and released the multinational crew of 30, they spent about two months in jail.